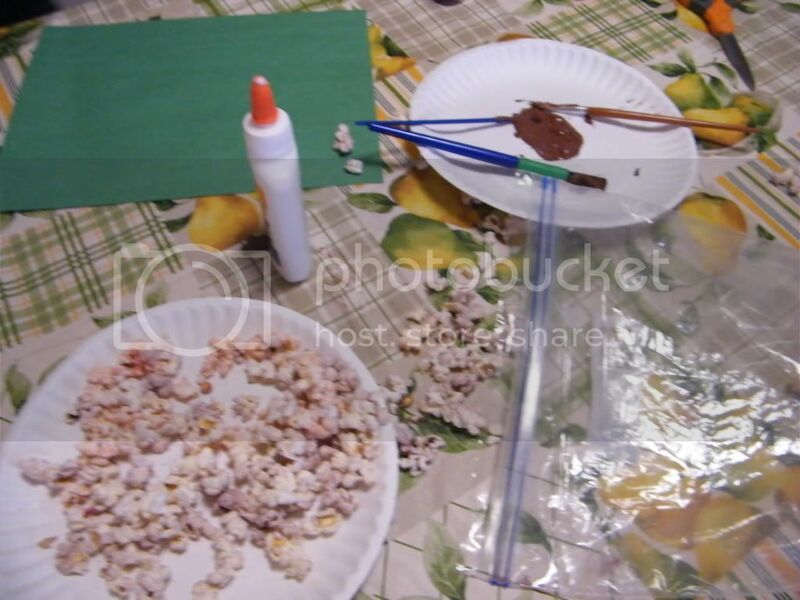 You will need construction paper, brown paint, glue, strawberry jello and popcorn. Pop some popcorn. 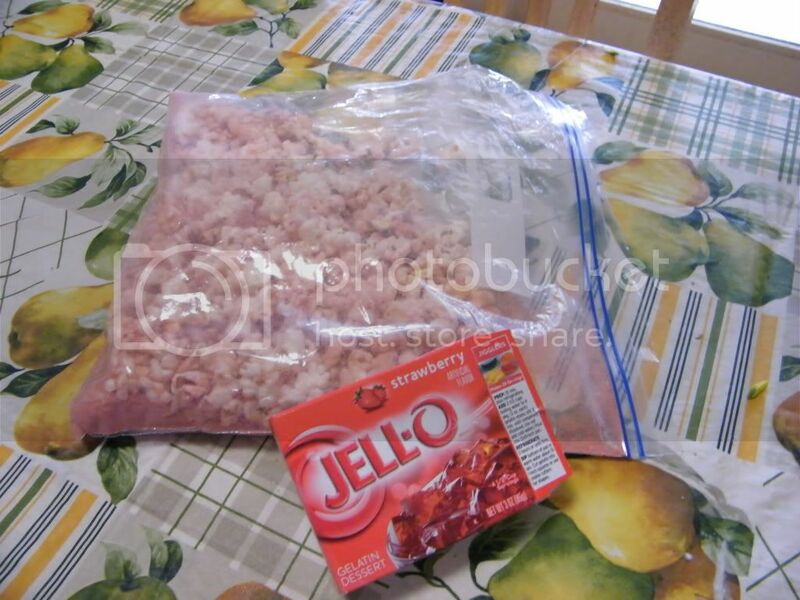 Add a packet of strawberry jello (just the powder) and the popcorn to a ziploc bag and Shake it all up. We also used some black cherry jello for a different color. The popcorn will turn pink (with the strawberry jello) and light purple (with the black cherry jello). 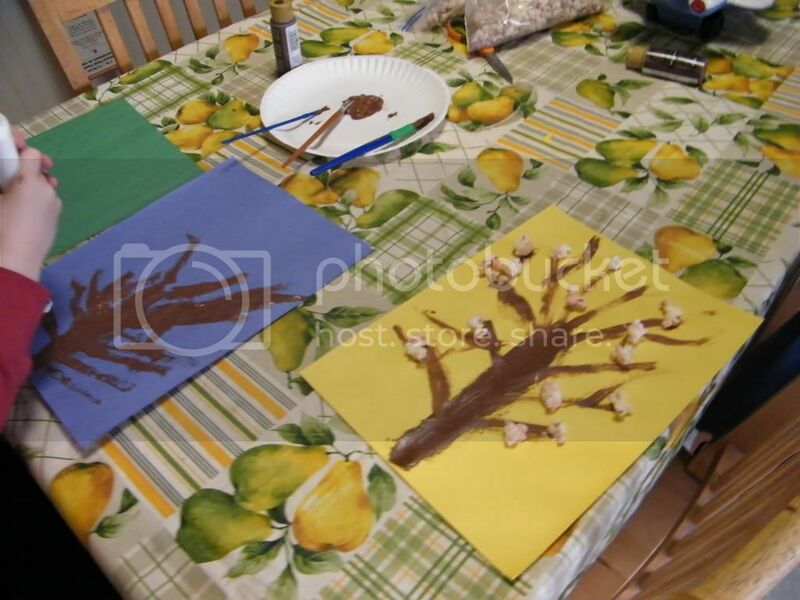 Next, paint a tree and some branches on the construction paper. Squirt some glue on the branches - I used dots, Nathan decided to squirt the glue all over his paper. 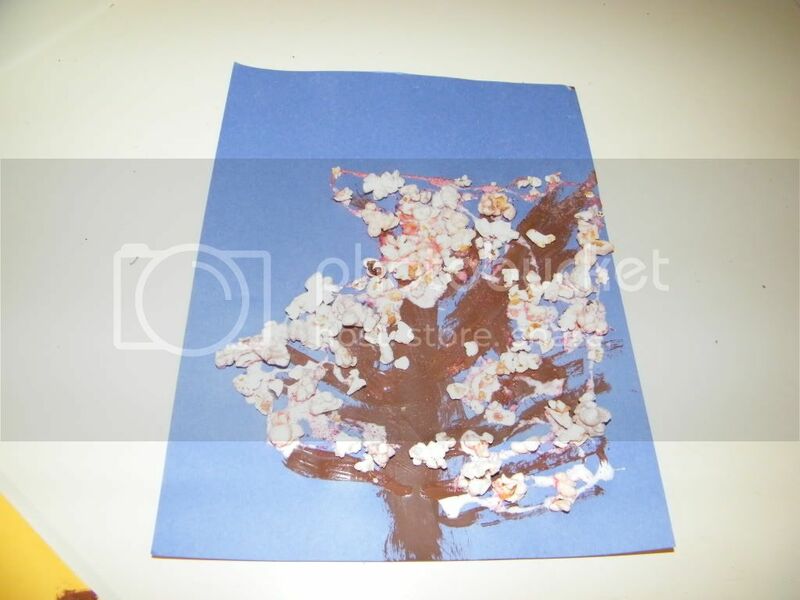 This came out so cute and was more fun than just painting the blossoms on the tree. We also made these handprint flowers before school yesterday (Nathan was up way too early and wanted to do a project before school). This was the fastest thing I could come up with and he loved it. 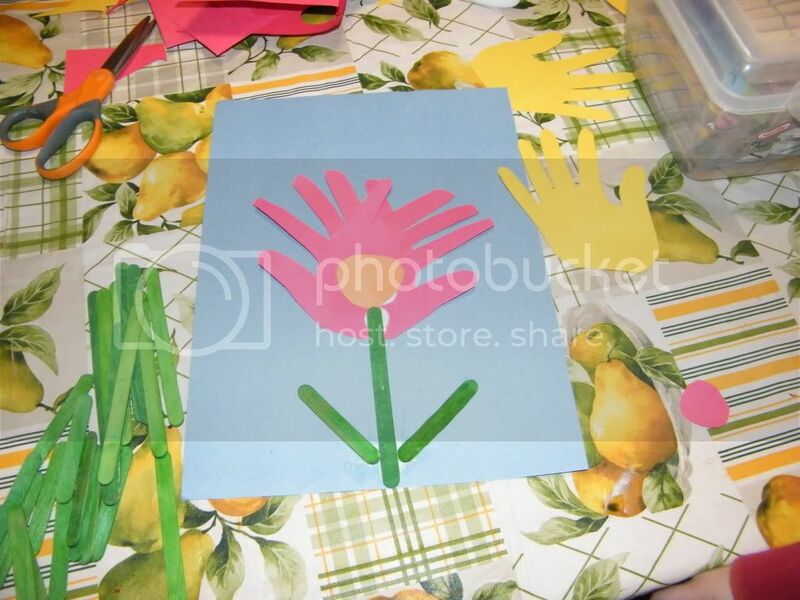 Take some construction paper and trace, then cut out your child's handprint. 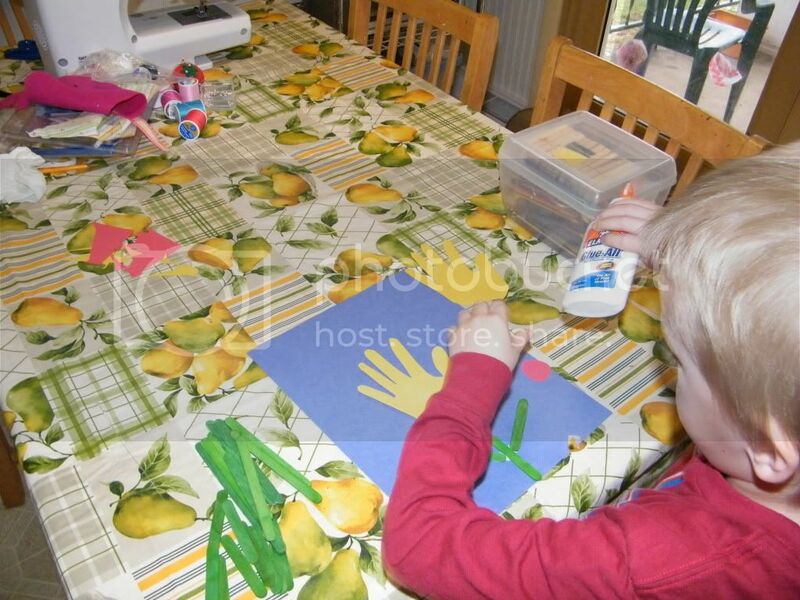 You can use as many different colors or handprints as you like. We only used a few because we didn't have tons of time. 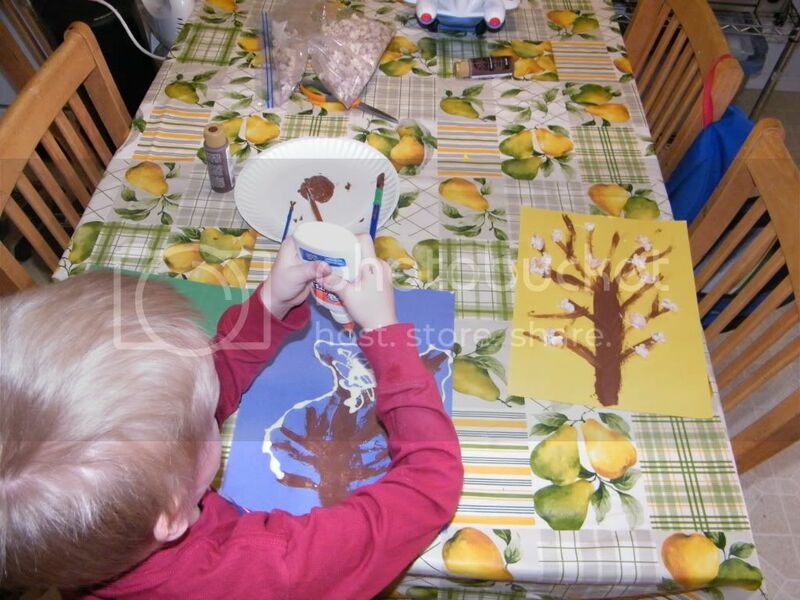 Glue some green craft sticks to the paper for the stem and leaves (we used both long and short craft sticks). 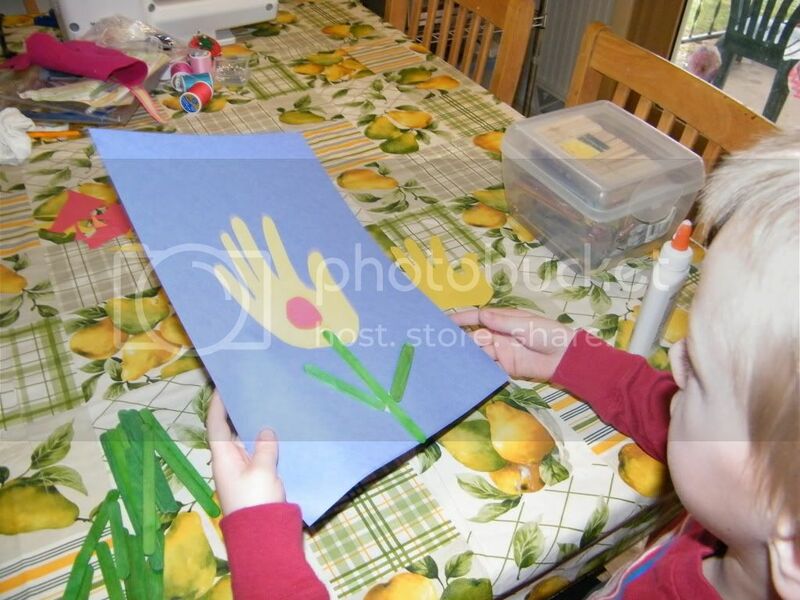 Then glue the "flowers" to the paper and add a circle for the center. 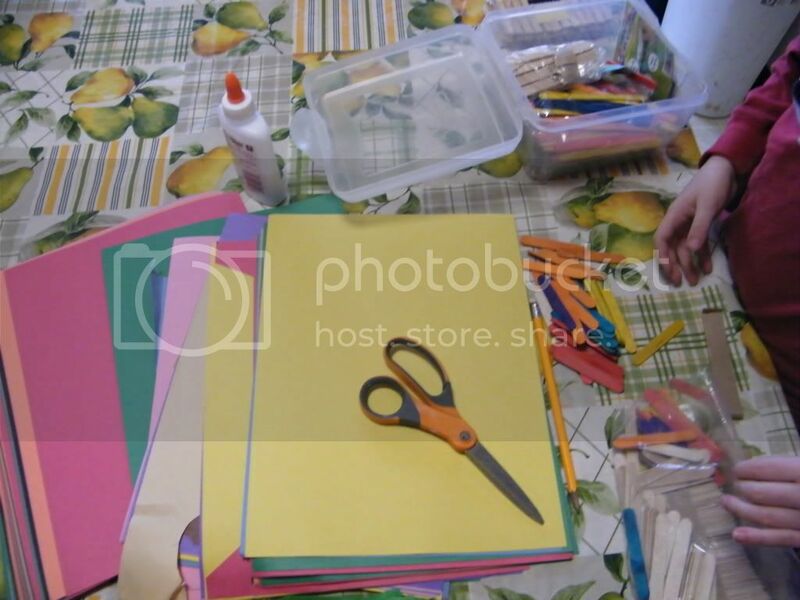 Wahla - quick, easy, fun craft. Thank you so much for linking! 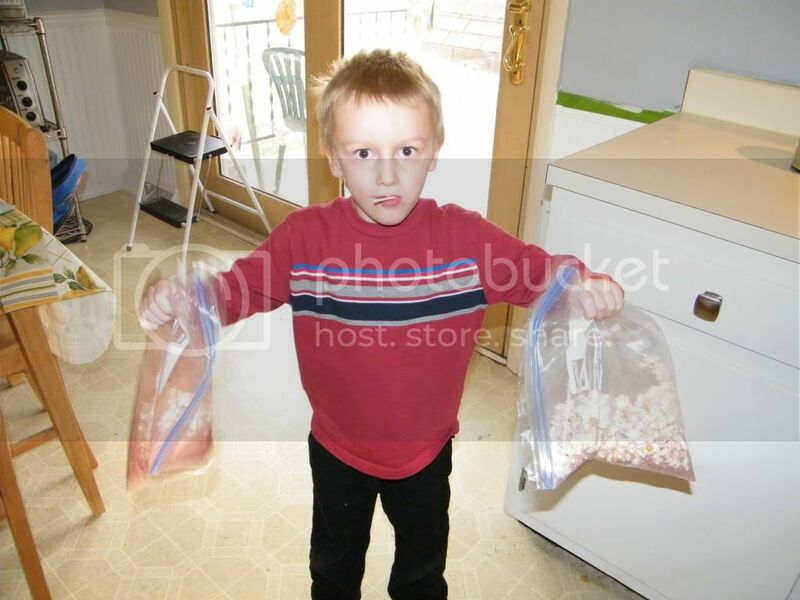 I'm very impressed that the popcorn was not eaten! It would be great if you have activities for older children as well. Teachers do run out of ideas as the children grow! Thanks again for linking & I hope to see you next week! such cute little projects. great ideas. the cherry blossom one is my fav. my children would enjoy a project like this. SO CUTE!!!! Would you mind if I linked to my site? A friend recently suggested I check out your site. So glad she did! 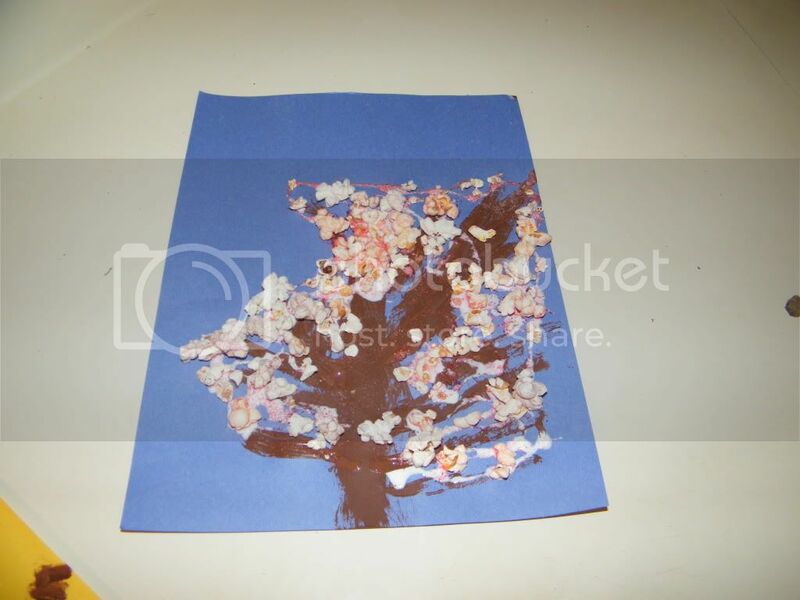 Love the cherry blossom idea!! April is Autism Awareness Month. I'm dedicating my blog to Autism all month long. I cannot get over how creative you are!!! I wouldn't never thought to add jello to popcorn to get the coloring down!!! Such a great activity to say hi to spring. Finally its spring in our neck of the woods. Heather From and Mommy Only Has 2 Hands! Rent College Textbooks? Yes, Please!